Fed chairwomen Janet Yellen spoke today and as always she is so predictable. 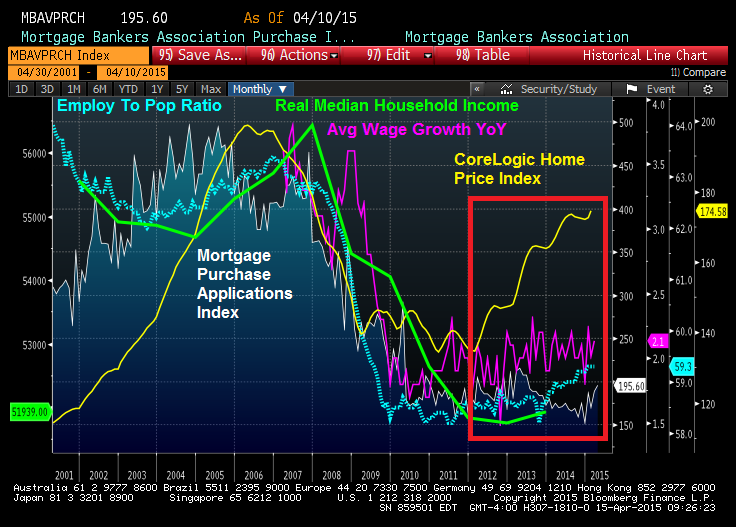 I made my case recently here that tight lending is a myth. However, for years now, math, facts and data don’t matter to the tight lending crew. 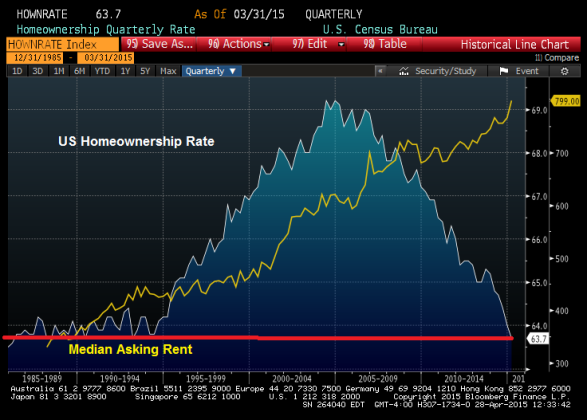 Homes are so affordable that Americans are renting in mass as a response to the Fed’s affordable thesis. All Fed members should be mandated to take a residential lending course before they say lies to the American public. 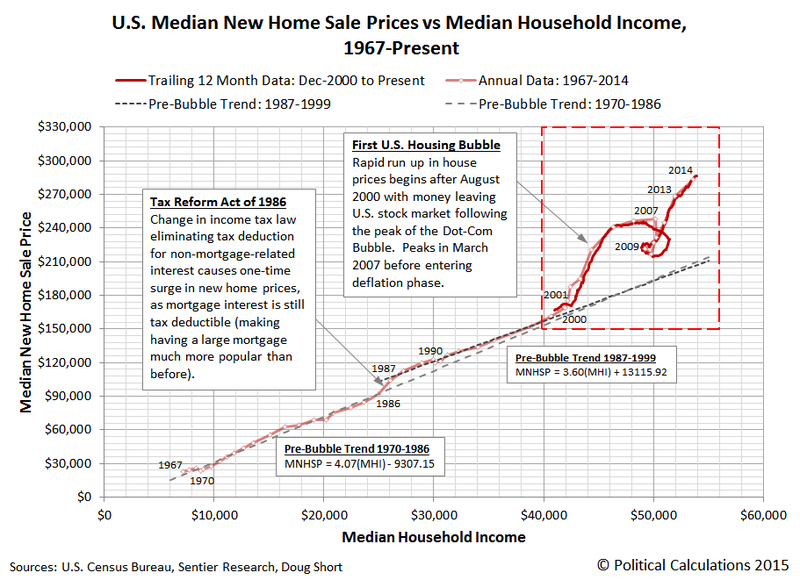 My recent interview with bankers to explain in detail why the Fed and many others are spreading lies about tight lending standards. 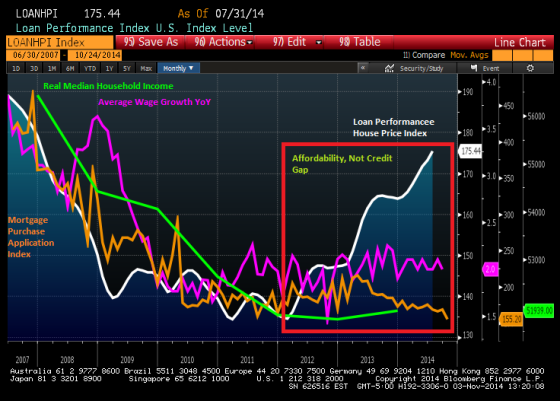 Housing is about incomes, liquid assets, debt to income rations, and down payments not a fico score. 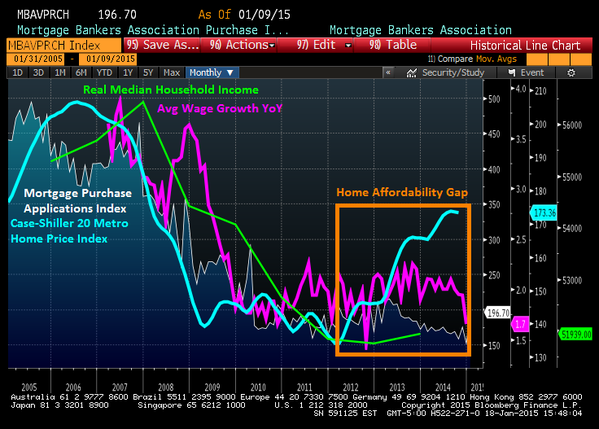 Posted in Uncategorized and tagged Debt-to-income, FED, Federal Reserve, Home Prices, Logan Mohtashami, Mortgage Purchase Applications, Tight Lending, Yellen. Bookmark the permalink. Maybe it’s just because she’s said it so many times now that she actually believes what’s coming out of her mouth. Glad to see the Fed Chair to be so “in-tune” with reality. Her pristine credit is actually the same line she uses over and over again. I am waiting for a day that she actually uses a different word. So Logan, would you expect the yellow line in the first graph, and the blue line in the second graph to come back to 2011 levels? That looks more like where they should be.